In any sort of small to big businesses you can think of, the customers are the ultimate game player. They are the ones who hold the power. Choosing your company over your competitor or choosing your competitor’s company is up to them. They can boost your business and they can drop your business as well. In this highly competitive digital world where every customer is as important as every vote in a political election, customer experience has earned the top position in the priority list. The time is gone when product and services were enough to draw customers attention. These days it lies on the type of customer experience a particular company is able to address their customers across the journey of a mere visitor, from how they land on their website, how they start liking or disliking their products as well as look and feel of the website, what it takes to make them purchase or drop the idea of purchasing. Everyone now knows and agree that customer experience is very important for a company. But most of them don’t know how to improve customer experience. Are you one of them? Do you want to know the strategies to improve the customer experience for your brand? You are at the right place. 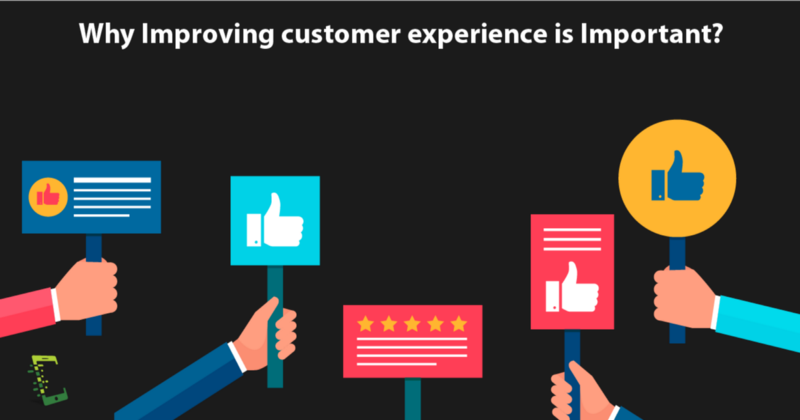 In this article, we will walk you through the complete journey of improving customer experience. 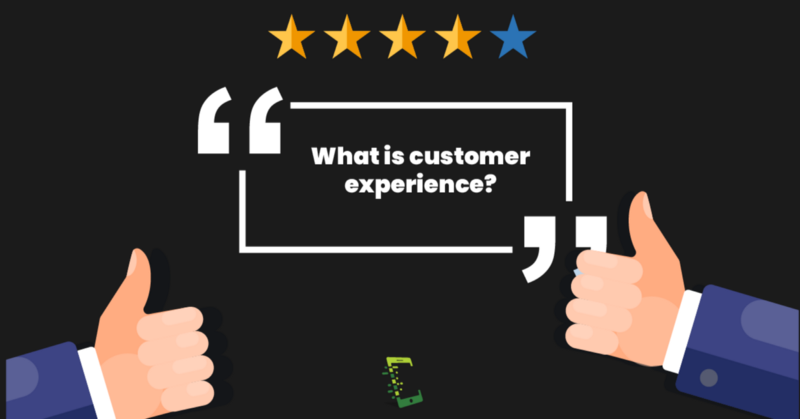 Before we go ahead and discuss the strategies, let us first discuss what exactly is customer experience and why it is so important for any company. Customer experience is the customer’s opinion of their overall verbal and non-verbal interactions with a company during the entire journey of a mere visitor to a legit buyer. It also includes how they complained about your service and products on Twitter and Facebook and how you handled it. You can only provide a great customer experience once you have an idea of your customer personas and a deep understanding of the customer journey. You need to keep it in your mind that improving customer experience is not an option anymore, it is something that you need to practice. Otherwise, you can watch your customers leaving you and choosing your competitor who is providing better customer experience. If you really want to raise your business high, you should be concerned about making sure that your customers have a pleasant and unforgettable experience when they interact with you. It is not at all a good business practice to give bad customer experience to your customers. Whether it’s replying late to a customer via email, not giving them a requested call back, or being rude to them over a call or Live Chat. Customers who already are in the ocean of similar and even better service or product providers don’t have a little tolerance for bad or unprofessional service. Collected data indicates that “47% of customers would take their business to a competitor within a day of experiencing poor customer service.” You don’t want to lose your customers and lastly your business? If you provide great customer experience to your customers they won’t think to leave you. Usually, most customers leave any company because of poor customer experience they receive from that company. Good customer experience creates happy customers which finally lead to an increase in deals and revenue. Now it is clear that why improving customer experience is very important. And do not forget that customer experience includes all the interactions before, during, and after the purchase, that is visitor, prospects, leads, and buyers should be treated well as they all are equally important. The first step before planning a customer experience strategy is to find out the definition of ideal experience in the context of your business and product. In simple words, you need to decide how you would basically want the customer to feel when he or she interacts with your company at every stage of sales funnel. 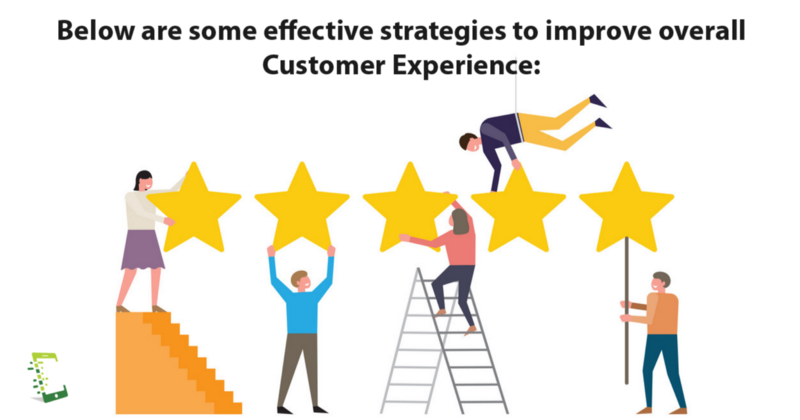 Once you are done with the best example of the best customer experience you can offer or you should offer to your customers, you need to put up maximum efforts to deliver the decided ideal experience. You will never get to know until you ask your customers. You need to ask customers how they got to know about your company, ask them to rate everything that a customer can rate about, whether it is customer service, website friendliness, pricing of the products, and also don’t forget to ask the reason behind the cancellation. All these feedbacks will help you in improving customer experience. Greeting customers don’t sound very important? But it is as important as every other strategy you have planned to improve customer experience. Make a habit of saying “You are Welcome” and “Thank You”. Bestow your customers that you value them by greeting them often. Offer discounts wherever possible and you may also send some freebies to them to show your appreciation. Try converting your loyal customers into brand advocates by pampering and encouraging them to share their customer experience with your company with their friends, and through influential social media platform. It is a well-known fact that direct interaction with the customers over a phone call is the best-known strategy for delivering a great customer experience. You may also want to use service like Limecall to achieve the same. Let us discuss how services like Limecall helps you in delivering amazing customer experience. Connect with Internal teams: A configurable option to add and manage your own team. Fully Managed Service: You may use their experienced vetted support agents in case you don’t have one. Using Limecall you can handle your team in one place harnessing different functions like defining user permissions (Configure custom user permissions based on your governance structure), Manage multiple users(You can add and remove different agents from different teams) and you can also measure performance, as Limecall provide insights into the performance of different teams as well as individuals. When you work with Limecall, you work with smart analytics. You get various insights from the in-house built dashboard or you may also integrate with others like Google Analytics etc. It also provides timely performance reports based on daily, weekly, monthly, quarterly, yearly or ad-hoc frequencies. Finally, you can use insights to drive all decision-making for your customer journey to provide great customer experience to your customers. Limecall widget is very much UI friendly and it can be integrated with all the websites. It is a completely flexible, configurable widget to match your website theme, colours. You can choose different colours from the palette suggested or use your own. In case if you face any issue Limecall have a 24*7 application support team to answer all your queries in real time. You can use your own team of agents to receive calls or use our highly trained team of support agents to provide 24*7 support for all your website visitors. 5. One of the vital metrics that we always need to worry about is cart abandonment rate. High cart abandonment rate( buyers are adding items to cart but then they are going away without performing the checkout) indicates that there is some issue with the payment gateway or fewer payment options than buyers require, or the competitor has more options. Not everyone completes the journey till cart and not everyone who reaches cart performs the final checkout. It will be a great loss for you if they face issues while making the payment. You should keep the payment system really very secure and not only that, the payment portal should be visibly secure too. It can be achieved using trust badges and some security-related animations. Also, do not add any additional charge at the end (buyers don’t like it). Converting a mere visitor to a legit buyer is never that easy, so it is always suggested to move ahead with a proper plan and generate and convert more and more leads into paying customers. Stay tuned with this blog, we will keep updating the strategies for enhancing the Customer Experience. Should you have any queries or wish to share any tips related to better customer experience, write to us in the comments section below.